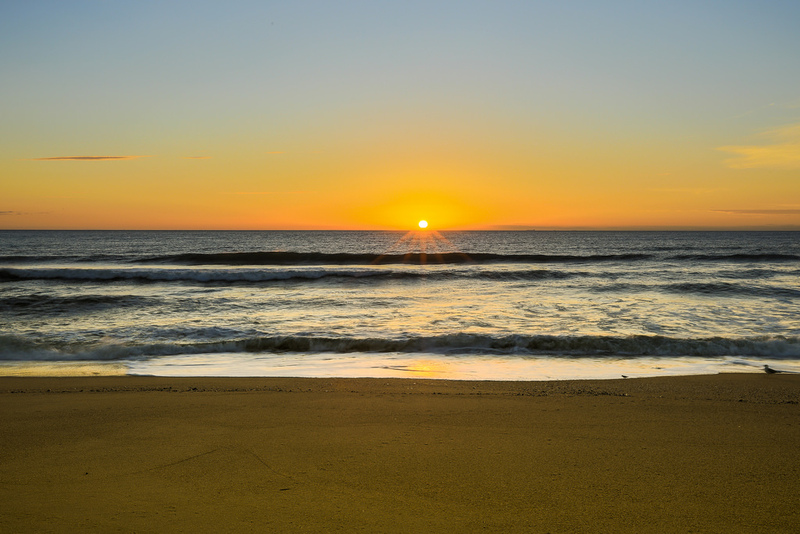 Book your stay in our hotel near Sandy Hook’s beautiful beaches to enjoy an idyllic north Jersey getaway! 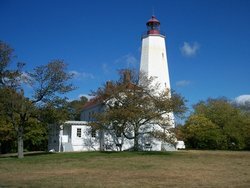 Famously discovered by Captain Henry Hudson in the 1600s, Sandy Hook has been a popular tourist destination for guests from all over the world. 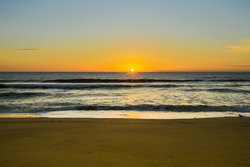 The 1,665-acre peninsula features 7 miles of beaches, in addition to a number of trails and surrounding wildlife. While topping up your tan along the endless beach, take in the stunning view of Manhattan’s skyline! Just a 40 minute ferry ride from the city, Sandy Hook Beach is a popular destination for city dwellers who are looking to enjoy a day relaxing on the sand. 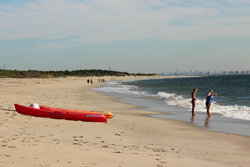 With our location on Sandy Hook Bay, there are a ton of waterfront activities around the hotel for our guests to enjoy. 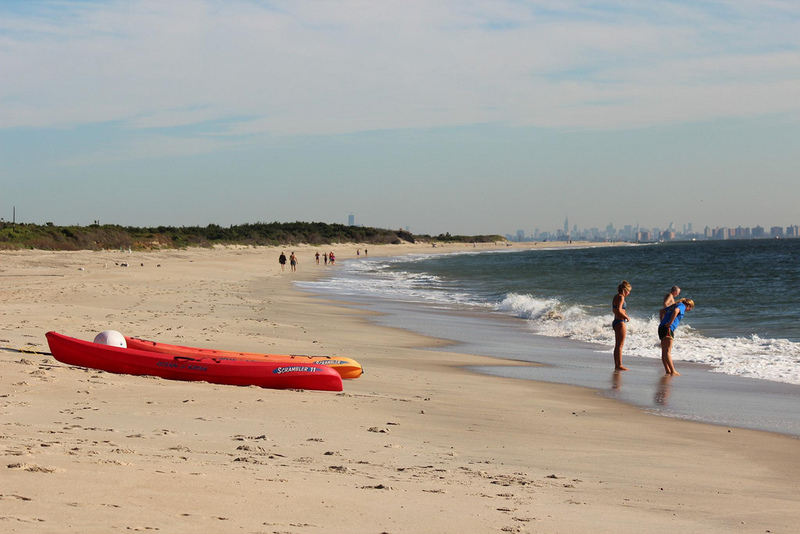 One of the most popular destinations for international travelers and New Yorkers alike, Sandy Hook Beach promises miles of stunning beach and a remarkable view of the Manhattan skyline. For our guests who are looking to enjoy a scenic stroll during their stay at the Blue Bay Inn, make sure to check out the Henry Hudson Trail.